First announced on 06 June 2016, the Seletar Bus Package is the third set of public bus services to be put up for tender under the Bus Contracting Model, following the Bulim Bus Package and Loyang Bus Package. This package comprises 24 existing bus services originating from Yishun Bus Interchange, Yio Chu Kang Bus Interchange, and Ang Mo Kio Bus Interchange, with 2 new bus services to be introduced later, as at package announcement (The 2 new services are 71 & 807). It is one of fourteen bus packages to be released by the Land Transport Authority (LTA) as part of the transition to the Bus Contracting Model (BCM). In addition, new bus service 851e was introduced in May 2018, bringing the total number of bus services to 27. As announced in April 2017, SBS Transit Ltd is the successful tenderer of the Seletar Bus Package, who will receive an estimated total fee of $480.3 million over five years. The 25 bus routes will be based out of the newly-built Seletar Bus Depot, located off Yio Chu Kang Road, which is scheduled to be completed in Q3 2017 and able to accommodate 525 buses. The package will consist of 390 buses when implemented in the first half of 2018, and will grow to about 500 buses in 2023 in tandem with new developments and projected growth in ridership. As of the tender closing time, 9 bids were submitted from hopeful operators. All operators were shortlisted on 02 Mar 2017. SBS Transit (SBST) was awarded the contract as it had the highest combined total score for both quality and price evaluation. In its tender submission, SBST demonstrated a comprehensive understanding of ground conditions and strong competence in bus service scheduling to enable the optimal deployment of buses and resources to meet travel demand. Furthermore, SBST has emphasised in its proposal a stringent maintenance regime for bus assets and infrastructure and committed to a significant number of experienced technicians to ensure high maintenance and reliability standards. In terms of manpower development, SBST has presented a robust career development program to up-skill its staff, and a comprehensive transition plan to minimise impact to commuters and affected bus workers. To ensure a smooth transition with minimal inconvenience to commuters, the implementation of the remaining 13 bus services currently not operated by SBS Transit will be carried out upon implementation in the first quarter of 2018. These services will be supported by the new Seletar Bus Depot located off Lentor Ave / Yio Chu Kang Rd, which will be officially handed over to SBS Transit in August 2017 to allow them sufficient time to recruit and train bus captains and technicians. SBS Transit has been performing overnight parking of buses at Sungei Seletar Bus Depot‘s Bus Park since December 2016. SBS Transit introduced a telematics system, known as SAGE, on all 730 buses under the Seletar and Bukit Merah Bus Packages to monitor the smoothness and comfort of bus rides provided by Bus Captains (BCs). The system records and monitors the BC’s driving behaviour such as speeding and harsh acceleration with feedback given in real-time through audio and visual alerts. This system is aimed at improving the safety of buses. Besides SAGE, these buses are also equipped with the Mobileye collision alert system. 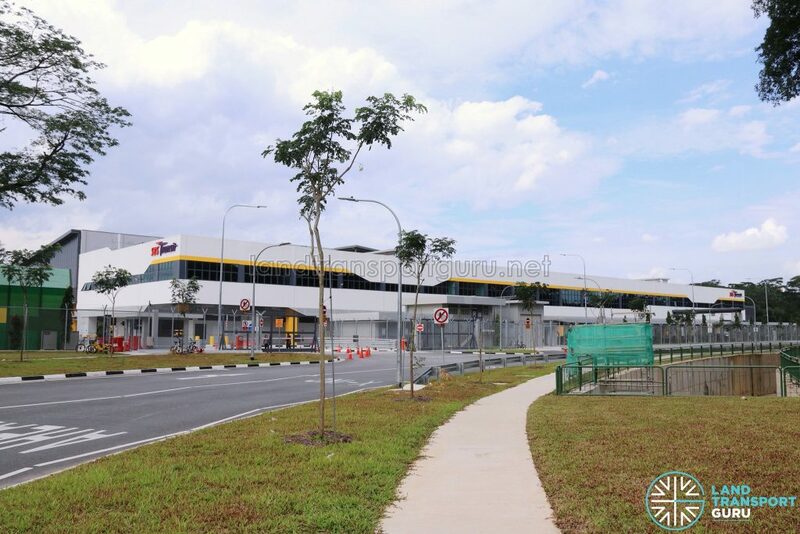 Seletar Bus Package consists of 26 existing bus services, with 1 new bus service added during the contract period. These services do not add to the overall service count. To ensure a smooth transition with minimal inconvenience to commuters, the Seletar package under the Bus Contracting model was implemented in three tranches in March 2018. Spaced a week apart for Tranche 2 and 3, the two tranches would hand SBS Transit progressive control over the Yishun Bus Services which are part of the Seletar Bus Package. All bus services will have scheduled headways of no more than 15 minutes for both directions during the morning and evening peak periods, with at least half of them having even shorter scheduled headways of no more than 10 minutes. Of these, the feeder services will run at even shorter intervals of 6-8 minutes. An estimated 45% of bus services will come at shorter intervals during peak periods when compared to the expanded BSEP. More guidelines can be found in the main Bus Contracting Model (BCM) article. On 26 September 2016, with less than 2 weeks to the tender closing date, the Land Transport Authority announced that the tender submission deadline was extended by 3 weeks to 27 Oct 2016. This is likely due to the recent events that happened to the awardee of the Loyang Bus Package, Go-Ahead Singapore. In September 2016 alone, less than a month after taking over bus routes from SBS Transit under the Loyang Bus Package, the operator has borrowed Bus Captains from SBS Transit & SMRT as well as subcontracting their Employee Bus Routes out to Tower Transit as a result of a spade of Go-Ahead Bus Captains resigning due to Go-Ahead’s cost-saving extensive interlining model. The extended deadline is expected to give more time to bidders to tweak their proposals on bus interlining. 2016 (26 Sep): Tender deadline extended to 27 Oct 2016, 1200hrs.